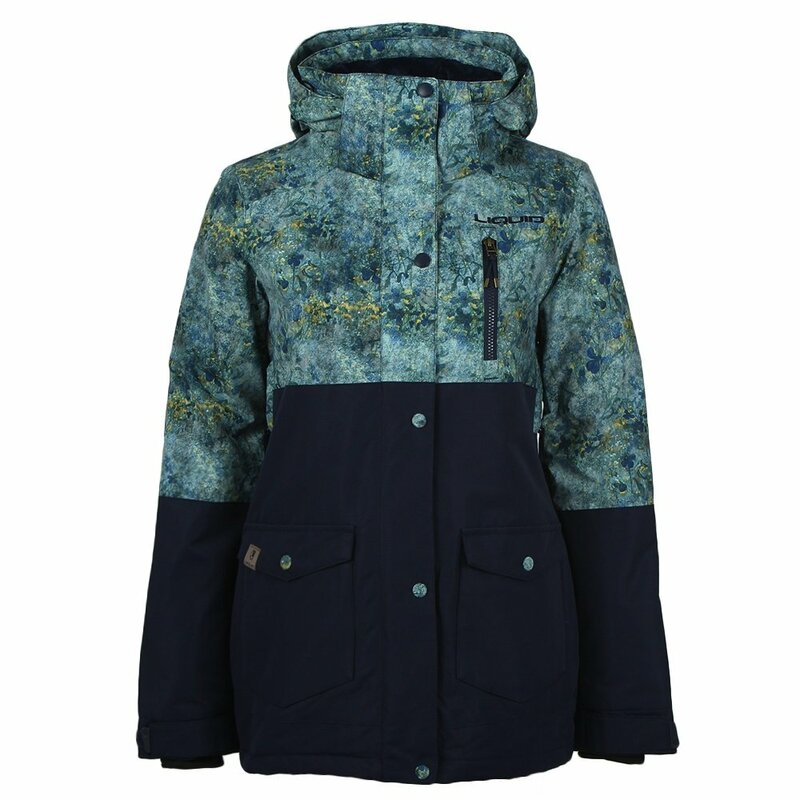 A jacket that does more than just the basics, Liquid's Maili Snowboard Jacket really shines. The colorful blend of color blocks and printed panels provides a one-of-a-kind look that makes you stand out. So whether you're soaring high above the park or wandering in line looking for your crew, you're hard to miss. This jacket's 10K/10K fabric and polyfill insulation keep you dry and warm so you don't have to take breaks to thaw out. Everything you need for the day can be stowed away in the various pockets. "What color is the lower part of the jacket?" "The lower part of the jacket is a navy color."